I’m back with an Artist Interview; it’s been a few months since I’ve featured someone. Today Vasi Hîrdo the Editor of Ceramics Now has graciously accepted my request for an interview! Vasi and his team published the first edition of Ceramics Now in December. It is an impressive first issue, with many prominent artists’ contributions, like Arthur Gonzalez, Roxanne Jackson, Carol Gouthro, they also interviewed many of the artists from the Denver Art Museum’s exhibition Overthrown: Clay without Limits, and many more. If you’re not familiar with Ceramics Now make the jump to their website and subscribe now! Their next issue will be launched in March! Over the last few months Vasi and I have frequently emailed each other and it has been a great pleasure getting to know him. A few weeks ago I got the brilliant idea to feature the man behind the scenes of Ceramics Now and I was thrilled that he accepted. Without further ado, here is Vasi Hîrdo’s interview! The first issue of Ceramics Now with Arthur Gonzalez on the cover. 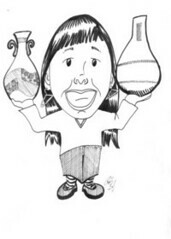 My name is Vasi Hîrdo and I am a young ceramics student from Cluj-Napoca, Romania. I have liked contemporary ceramics for about five years, but have only started to work and research in the field since two years ago. I am the founder and editor at Ceramics Now Magazine. Please tell us a little about Ceramics Now! Ceramics Now is the newest contemporary ceramic art publication in the world. We are featuring profiles, works and interviews with new and world-recognized ceramic artists, as well as reviewing exhibitions and projects. Our first issue was published in December 2011, and is introducing more than 40 interviews and articles with ceramic artists and creative minds. Please tell us how you decided to start Ceramics Now? I started the project about a year ago, but the idea of creating a magazine came up only after a couple of months. Initially, Ceramics Now was a website on which I featured a few ceramic artists I knew about, with the purpose to show their works to my colleagues and friends. It was easy to start it because I was always a fan of interesting websites and I knew how to maintain and promote a website like this. The idea of creating a magazine came up after I saw that there was a real interest in Ceramics Now (the number of visitors and the emails I received kept rising), and after I searched the internet for similar websites – and found none. I sketched a little plan on paper and then I started doing interviews on a regular basis. I have read on your website ceramicsnow.org that the staff is a group of students. What is the average age of the Ceramics Now staff? Are all the students studying ceramics in college? How did you find a dedicated group? As we speak, I am trying to gather more people to help develop Ceramics Now. We are all in college or high school, and I guess the average age here is around 21. I have a lot of enthusiasm for this project, and I really hope to transfer little bits of it to my colleagues. It is hard finding a dedicated group; I’m still working on it. What has been the biggest challenge of starting Ceramics Now? Tight schedules. In November I worked non-stop on organizing the articles for the first issue, then on proofreading and correcting everything. Radu Ariesan, Andrei Sincraian and I sometimes stayed up till 5 am just to finish everything in time. In the meantime (I have no idea when that happened) I was also organizing the first edition of Ceramics Now Exhibition. And school was on the eleventh plan I think. Other than that, I can’t recall another big challenge. I am a calm person . I would love to become an artist. I still have plenty to learn, research and experiment, but hopefully someday I will be able to think of myself as an artist. And if not in practice, in my soul I will always be. My teacher, Gavril Zmicala, was the man who triggered the passion for ceramics in me. Before that, I knew nothing about ceramics or art. His infinite passion and steadiness made me appreciate contemporary ceramics and the people who are doing it! When I create a new piece, I am usually very patient. Please tell us what you are currently making in clay. The desire of making something great and noticed, I want to be one of those who have the power to change something in good (no matter how small), not the one who will be changed by others. The fact that Ceramics Now is getting more and more appreciations makes me feel like I am on the right path, and that the end of path is looking great. Also, the prospects of me living and working in Iceland are also very motivational. There are lots of things that inspire me, like good music, interesting documentaries, reading and seeing art works. I am also very passionate about Iceland and its culture. They are incredibly open-minded, calm people that seem to live peacefully in an amazing scenery. Almost anything I read about them is a constant source of inspiration for me. I’m also passionate about contemporary art, magazines, design, architecture, cycling, equestrianism and lots more. There are also a number of amazing people who inspire me, like Dragos Bucurenci, Cristian Lupsa, or the staff at ColectivA. You have come such a long ways at such a young age, what is your next project and where do you see yourself in ten years? Ceramics Now is my next project. I am committed to it and I have very interesting plans for the next years. 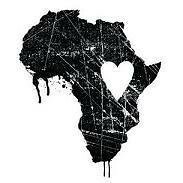 I want to see it grow and to be recognized as a fresh, innovative and contemporary publication. For the next issues we are working on special features on European, American and Japanese ceramics, and interviewing very interesting artists. On a personal level, I see myself traveling a lot and discovering new boundaries of mine as a human being. I know it sounds hard to understand, but that would be my reason for traveling. I’m also planning on studying at the Icelandic Academy of the Arts beginning this summer. This is the thing I am most excited about! What advice would you give to ceramic artists trying to get published? They should email us! We are a young and passionate team and surely they will find a good friend in us. It is important for an artist to have his works seen by creative people, or by people who are looking for inspiration and motivation. That is why I encourage all the artists to first establish an internet presence, then to seek for publishers. From the reception of Ceramics Now Exhibition. Several days ago, well it’s probably more like a few weeks ago now; the wonderful people of Ceramics Now sent me pictures from the reception of Ceramics Now Exhibition. Although, I don’t know a soul in the photographs it was fantastic to see everyone enjoying themselves at the reception. It looks like they had a great turnout. I wish I could have been there. I am very proud of Vasi Hirdo and his very ambitious staff getting the first edition of Ceramics Now off the ground. Without further ado here are some of the pictures from the reception of the first Ceramics Now Exhibition. Plus I got my hard copy of the Ceramics Now magazine the mail the other day. I was very excited to see the magazine in print and hold it. I was thrilled to see it as a digital magazine, but there is something to seeing it on paper. Maybe my age is showing and I haven’t really caught up to the digital age. Plus I love the stamps they used!!! I started a Pinterest account! So if you are so inclined please follow me and I’ll follow you. I just figuring out Pinterest, so I hope I get it. The first issue of Ceramics Now is now out! I am very pleased to announce the arrival of the newest ceramics magazine, Ceramics Now, from Cluj-Napoca, Romania. I just got my digital copy and it looks impressive! The staff at Ceramics Now has been working so tirelessly for months now. They are featuring 40 different artists, ceramic artists: Claire Muckian, Carol Gouthro, Ian F. Thomas, Cynthia Lahti, Carole Epp, Simcha Even-Chen, Liza Riddle, Patrick Colhoun, Mark Goudy, Chang Hyun Bang, Ian Shelly, Shamai Gibsh, Margrieta Jeltema, John Shirley, Jim Kraft, Blaine Avery, Shane Porter, Antonella Cimatti, Maciej Kasperski, Wim Borst, Merete Rasmussen and I am so lucky to be one of the artists as well! Right now I am so flattered to be included on their website and to be one of their featured artists in the first issue. They are offering the magazine at a fantastic deal $15 dollars or $4.00 for a digital copy or you can subscribe for a year for $59 with free digital subscription. Please make the jump to Ceramics Now to read an excerpt of my interview on their website. 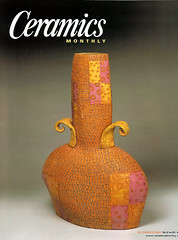 www.ceramicsnow.org Or better yet go become a subscriber to the magazine and read the entire article! Thank you so much to Vasi Hirdo the editor and the rest of the staff!